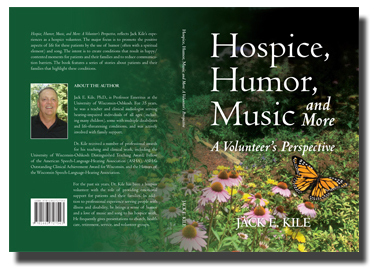 Hospice, Humor, Music and More: A Volunteer's Perspective, reflects Jack Kile's experiences as a hospice volunteer. 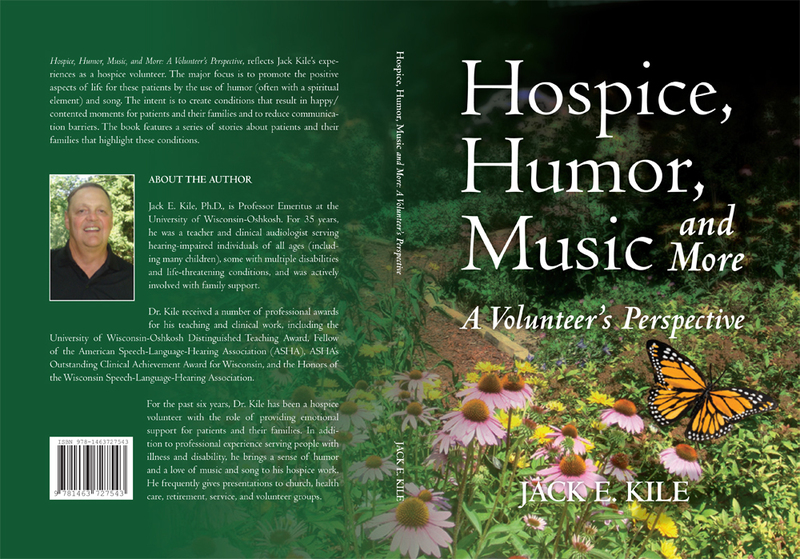 The major focus is to promote the positive aspects of life for these patients by the use of humor (often with a spiritual element) and song. The intent is to create conditions that result in happy/contented moments for patients and their families and to reduce communication barriers. The book features a series of stories that highlight these conditions.